Word lovers have long embraced lists of adjectives for animal qualities. These terms run the gamut from the grand and elegant (aquiline, eagle-like; tigrine, tiger-like) to the insulting and somewhat icky (hircine, goat-like; porcine, piggy) to the more familiar (asinine, canine, lupine, vulpine). Leonine (lion-like) is king among these adjectives. Consider all the cultural, religious, and literary associations that crowd your mind as soon as you think of lions and you'll probably agree that leonine is useful enough to make an appearance here in Make Your Point. Though we'll probably check out lionize later on, we haven't yet looked at other words related to lions. By coincidence, the following words look like they should be about lions! Could you recall them? 1. A _____lion is a large group of anything--usually people--that's organized and powerful. 2. A _______lion is a person who's dishonest or just playfully mischievous. Someone or something leonine reminds you of a lion: it might be courageous, powerful, large, graceful, kingly, and/or shaggy. 1. Right before a noun, as in "a leonine thing" or "a leonine person." This word connotes power, beauty, ruggedness, strength, majesty, royalty--anything you associate with lions. So, talk about leonine people with leonine bodies, leonine heads, leonine faces, and leonine manes. You might describe someone's leonine posture, gait, nature, presence, or demeanor. Or someone might have leonine beauty, leonine prowess, leonine grace, leonine courage, and so on. With his broad leonine face and commanding onscreen presence, Leonardo DiCaprio couldn't have a more appropriate first name. Does your workout mix have Katy Perry's "Roar"? That leonine chorus is potent. Look away from the screen to explain the definition in your own words. 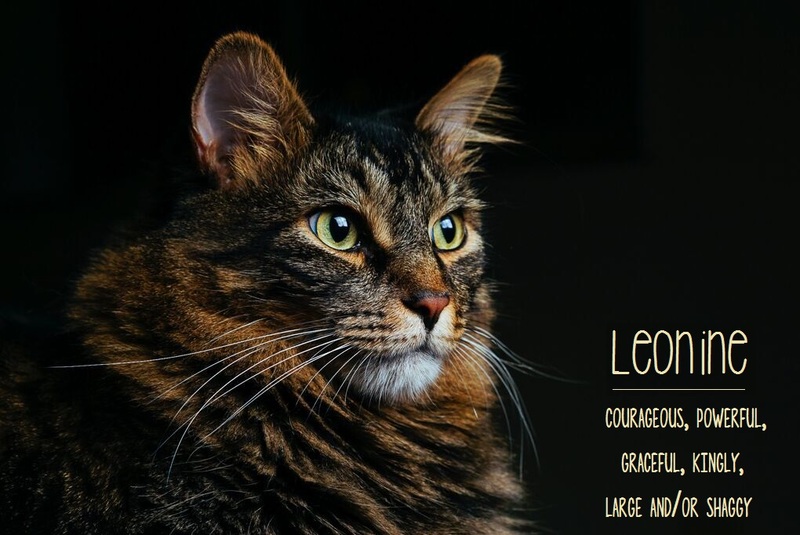 You’ll know you understand what "leonine" means when you can explain it without saying "regal" or "courageous." Think of someone you know who has a loud voice or a strong, assertive personality. Fill in the blanks: "With (his/her) leonine (voice/appearance/demeanor), (Person) easily (accomplishes something in particular)." Example: "With his leonine voice, Dwayne easily commanded the room." Answer: "The person, be it gentleman or lady, who has not pleasure in a good novel, must be intolerably stupid." 2. The role of the villain Javert demands a _____, almost leonine presence.